Here at Ashgood Classic and Sportscars we specialise in all things Porsche, from sales of classic and modern Porsche cars to Porsche specialist servicing, parts and body repairs. Located near Heathrow Airport we are ideally based to serve central London and we offer a pick up and drop off service from Terminal 5 for our customers using the airport or rail stations. I am so happy I chose to buy my first Porsche Boxster from the team at Ashgood. Mike and Tom were so helpful throughout the process of the sale. Paul did everything necessary to ensure the car was ready for me to collect ahead of time. A big thank you to the whole Ashgood Team for all the hard work and exceptional customer service. Not only am I happy I bought my car from you, I look forward to buying my future cars from you too. Really decent, fair guys to deal with. I’ve always bought from Porsche dealers previously, but next time I will go to Ashgood first. Genuine enthusiasts, no pressure sales environment, and they were happy to sort any issues I had with the car when I viewed it (not that there were many). Cheers Vic, Mike and the rest of the team. Recently purchased a vehicle from Ashgood Porsche specialists. From start to finish a pleasant experience. Ashgood organised removal of my runflat tyres for non run flat tyres, nothing was too much trouble. Really pleased with my purchase. Thanks guys. I can't say enough good things about the guys at Ashgood. Extremely helpful in buying my first Porsche Cayman, knowledgable and helpful from start to finish. There was never no pressure to buy, just there to help you make the best decision. Thanks Guys you made me very happy and glad I chose ASHGOOD. Dean, Paul and Tom, thanks again for making a small boy's dream come true! Highly recommended, extremely helpful, knowledgeable and not pushy at all. Also, the car was great at a great price. Bought my Boxster approx 2 months ago from Ashgood. Mike and Paul were superb during the whole process. No hard sell which was a massive plus point and they let me take my time to look over the car. Have had a couple of fixes under warrenty made with no fuss at all. I would recommend these guys to anyone interested in buying a Porsche. They are trustworthy and priced very competitively. Bought my cayman from mike 12 months ago. Had an issue under warranty and they fixed it within 48 hours. After 12 months decided to upgrade and mike agreed to buy the cayman back. Collected the car from my home. I recently purchased a Cayman 981 from Ashgood and the level of service I received was exceptional. Victor spent a lot of time with me going through the car I was looking at, he was very knowledgable and very open and honest. I could tell he enjoyed dealing with customers and providing a great service. The process and experience was exceptional from start to finish. The paperwork and discussions regarding price etc were dealt with by Mike. I found Mike easy to deal with throughout the entire process. He was quick to respond to my queries via email and gave me all the advice I needed to get the purchase completed. They took my Bmw in as part exchange and then worked exceptionally hard to get the Cayman ready for me to collect within 4 working days, including getting my private plate put onto the Cayman for collection. I would not hesitate in recommending Ashgood to anyone looking to buy a Porsche. Just sold my 997 to them. Very simple and easy to do. Vic was very helpful and gave a very professional service. I never post reviews but have been so pleased with my dealings at Ashgood I thought I should. I originally went to Ashgood because of the selection of stock and fair pricing. I’m sure they get a tonne of test pilots and the guys had no reason to believe I wasn’t one, but Mike let me drive what I wanted even going back home in one to check I could clear the lip on our driveway at home. Couldn’t decide between 3 potential cars so they cleared their whiteboard wrote up the specs side by side and we decided on the one with all the ‘drivers’ options. Really chuffed with the car, never missed a beat and when I needed to sell it Mike gave me a fair price no quibbles and had transferred the money before I even had a sip of tea. I can’t recommend Ashgood highly enough if you have always wanted a Porsche but don’t want to get fleeced and want good impartial advice this is the place! Bought my Porsche from me and a speedy quick service without any messing around. They were gone within 10 minutes of viewing the car. Excellent service! Mike and the team at Ashgood will look after you from the moment you step through the doors. Incredibly helpful and the service has been first rate. Thanks to all of the team and the car looks great! Just purchased a 718 Porsche Boxster from Lynd, Paul & Mike. Absolutely fantastic car. The customer service received was second to none.. No pushy salesmen; would definitely return to purchase another.. Would highly recommend them.. I recently purchased a 2011 Porsche 911 from Ashgoods, the service and friendliness was second to none. Mike set up the business just a few years ago as he passionate about Porsches. Just picked up my 997 GTS and extremely happy with the car and service from Lynden and Mike. Paul picked me up from Heathrow, all so easy. Great personal service including the tea and cake, would highly recommend them. Very friendly and no pressure to commit sales team. Test drive in the 997 was great with a route worked out to exploit the cars performance safely. Altbough Lynden was my main contact all of the guys I met were incredibly helpful. I viewed the car and put down a reasonable deposit and they held on to the car as I had to go away for almost a month. When I required some work done after buying the car it was carried out under their warranty without hesitation . They were happy to accommodate my travelling schedule and held the car for me as well as ferrying me to and from the airport. I searched for my car through several dealers and Ashgood were just the best at everything they did. Care for the client , enthusiasm for the product - a joy to deal with. 5 star rating for a 5 star service. Thank you making the experience so special! Particularly to fellow Northerner - Lynden ! Great service and fab car! Very personal and professional. Even got a coloured key ring! Nothing was too much trouble and they certainly know there Porsche’s! I wanted to say a big thank you to Mike, Lynd and Paul for making the buying process painless (apart from paying) and dare I say it enjoyable. I test drove 3 cars before making my decision to buy a Cayman, no pressure and nothing was too much trouble. It had a slight issue and had to go back, I combined its return with a business trip, Mike arranged for me to be taken to T5 at 6am and collected by himself 4 days later at 7.30pm, again nothing was too much trouble, I have brought a few cars in my time but I can honestly say Ashgood are incredibly professional and passionate about their trade, they know a thing or two about Porsche, a superb company to deal with, highly recommended. Helpful, knowledgeable, experienced, honest. Excellent dealership. My contact was Dean who was extremely professional. The complete sales process was quick and very professional. just got home after a great (if wet) drive in the new Cayman. Once again thank you for such a smooth purchasing experience, including the unveiling ceremony! Will recommend highly of course! Known Mike for around 7 years now. He's always been a top guy and his love of all things Porsche is second to none. Just sold my Cayman to Dean. Top guy, absolutely superb service. We arranged a fair deal and he immediately sent a £200 deposit across to secure the car. He then arranged a collection and the transaction went through in about 10 mins, with no problems. I can't recommend Dean and Ashgood highly enough - great professional service and excellent communication throughout. I had an enjoyable and relatively relaxed experience purchasing my 993 C2S off these guys - I like their manner and I found their approach really refreshing compared to the other Porsche salesmen I have dealt with over the past ten years of owning a number of 911's. Very personal service and I thought the hamper was very nice touch. 5 star service from the guys at Ashgood. Made our experience with buying our Macan simple. No pressure at all. Needed the car asap and they done there upmost to make it happen. Viewed the car Tuesday picked up Thursday. Great service. Would recommend a visit. I purchased my dream car from Mike at Ashgood Porsche, its a 993 Turbo, just what I have dreamed of owning since I first saw one. This car is 20 years old, but even so I was happy to buy as Mike was so helpful and honest. After being given the contact info of the previous owner and getting helpful input, I was happy to make the purchase, getting a 3 months bumper to bumper warranty gave me even more reassurance. There have been several minor issues and a couple of major ones, but Ashgood have been as good as their word and dealt with everything. I am a little obsessive, but they have supported me throughout and even beyond the warranty period they were very fair. I cannot recommend them highly enough and will certainly go back there in the future. Thanks to Mike and Paul - Simply Outstanding. Sold my Porsche Macan Turbo to Ashgood Porsche Specialists. I was offered a fair price and the process was extremely quick and efficient, from the first contact to payment in my bank and collection of the car was approx 2 hours. Would have no hesitation in recommending or using in future. Thanks Mike! Great guys to deal with. I spotted a stunning GT4 on their site that was well priced. I emailed early one Sunday morning and was promptly emailed back by Mike with my part exchange valuation and questions answered. Later on the same day we agreed a deal and that was it sorted. The car was transported to me 2 days later by their driver Tony who was a cracking guy too. All very efficient with no messing around, the way it should be. I would definitely recommend using Ashgood and would do so myself in the future. I recently bought a 911 GT3 from Ashgood for a European road trip. On the eve of leaving the car developed a problem. I contacted Ashgood out of hours and they bent over backwards to get me moving again to make my ferry on time. The road trip was a tremendous success. Ashgood telephoned me regularly whilst I was in Europe to check all was well. I can do nothing more than unconditionally complement them on their after sales service and kindness. Cracking service from a top team that really looked after us before, during and after the purchase. I love my new Porsche Cayman. Didn't buy anything from them but the service was good. No BS, straight forward, no sales pitch, nice guys who enjoy the cars. Highly recommended. Bought a 911 in the summer, dealt with John at Ashgood, Great friendly service. I had some initial teething problems with the car (to be expected given I had bought a second hand car which had not been driven for a while by the previous owner), but John went above and beyond to help ensure the car was up and running as soon as possible on ever occasion. I'll pop in this summer to see the team. Wishing you and the team continued success. Keep up the good work. I recently bought a 2009 gen 2 Boxster from Ashgoods. Right from the first Sunday afternoon when Mike opened up to show us the car, through the process of putting a few minor things right, to today, when I collected the car, the whole experience was easy, friendly and professional. They readily agreed to transport the car to Northway for a pre-purchase inspection and where keen to make right the minor issues it threw up. Throughout the period while this was going on communication was great and I was kept up to date with progress. They seem to have some good sources for nice used Porsches and I would definitely recommend you visit Mike and John if thats what you are looking for. I recently bought a Porsche Cayman S from Ashgood. Communication prior to me arriving for my test drive was second to none (I had been asking lots of questions via email and on the phone!). I arrived on a Saturday and spent two hours there, test driving a Cayman and then an S.
Mike and John are such nice guys, made me feel at ease straight away. There was no bravado or dodgy sales patter, just honest genuine advice. I got an awesome deal on my Cayman, and I have had had it for nearly a month now without a single problem. They're a really genuine garage. Their mark up's aren't huge, (if you have a good look around you will see that their cars retail for much less than other places). They offer 3 months warranty as standard with all of their cars. When I asked what this covered, I was told that it covered absolutely anything (except things already pointed out during the sale, or obvious wear and tear items like tyres etc). I can't praise them enough. I got my ideal spec Cayman S for much less than I could find it anywhere else, and their non pushy approach makes for a really pleasant buying experience . This is my fourth Porsche now, each one purchased from a different garage. This is by far the best dealer I have been to and I would recommend them, hands down. Thanks guys. First class after sales service. A pleasure to deal with the company. I was very sad to sell my beloved Cayman R but I was so thankful for selling it to Ashgood. The whole process was so easy and quick and I am pleased to have sold the car to a great specialist who will look after it and find a good new owner. When I am buying another sports car I will definitely get in touch with Ashgood again. Would thoroughly recommend these guys. The car I bought from them developed a fault under warranty and one of their team came to Bridgend from Stanwell to fix it. Will definitely use them again. Thanks. I swapped my manual Boxster for a PDK Boxster and got a good trade in valuation compared to quotes I had been given from other companies. The staff were very helpful from the start, delivered my new car to my door and took my old one away within a couple of days of my enquiry. They also swapped my Reg plate over - a complicated process for one that should be very easy. I am a very happy with my new Boxster, well done to Mike and the rest of the Ashgood team. 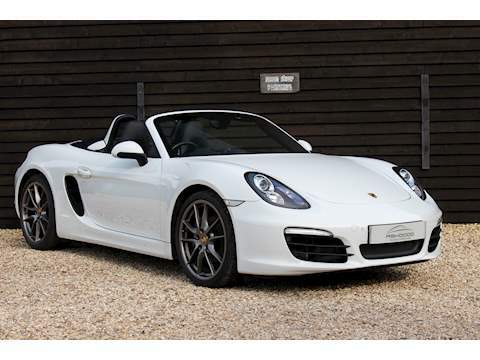 I was trying to sell my Cayman quickly as the cliche was actually true; my wife is pregnant and I had left it a bit late (5 weeks to due date) to swap it for a family car. When it had not sold after 3 weeks on Autotrader I received a phone call from Ashgood Porsche. They offered a very reasonable price (£2k more than trade in prices I'd been given) and arranged to pick the car up a couple of days later. They were a pleasure to deal with, straight down the line and true to their word. If my new child doesn't bankrupt me they will be the first place I go when searching for my next Porsche! Very pleased that I found this dealership so far. They have a good range of cars and aim to turn them over on a regular basis. The location is secure and well placed. Everyone was very friendly and made the whole transaction easy and pleasant. I am thrilled with the car I bought. I it not my first Porsche and I looked for many months before finding Ashgood as my needs were quite specific.I now have exactly the car I had in mind, at a fair (not cheap) price. The car was perfectly prepared and valeted when I bought it. I had a minor issue a few weeks later (engine light intermittently coming on). They identified a faulty sensor and took care of everything at no charge. So far, very happy and I will certainly be bringing the car back here for maintenance. I purchased a 2010 Boxster 3.4S Gen II - PDK from Ashgood Porsche in April 2014 and I can honestly say it is one of the best decisions I have ever made. I have had two years of absolutely trouble-free motoring and use the car both for my daily commute and trips to Yorkshire; it’s my only car. This was my first Porsche, and was a considered purchase, however Mike was very helpful throughout the whole process. I had given Mike an outline specification of what I was looking for i.e. a low mileage Boxster S complete with, PDK and sports plus, Bose sound system and 19 inch Carrera wheels but he delivered so much more. I was more than happy with the price and service that I got from Ashgood Porsche and I have absolutely no complaints. Do yourself a favour and consider this company if you are considering a Porsche. There are stealerships and specialists; I have just sold my wife's Boxter to the latter. Frustrated by tyre kicking 'experts' (from a specialist site ad ) seeking free test drives and those group buyers with no clue other than having their huge margins in mind - it was a pleasure to let this car go to a team who clearly know what they want and how to go about the business of buying (and selling on) one's cherished Porsche. It's not just a car sale - and they know this. A quick no nonsense professional service with sensible valuations and prompt settlements. I now know where to go to buy my next one! Polite, genuine, efficient and, above all, professional. I have over the past 18 months bought 3 cars from Ashgood. I cannot fault the customer service both and after sales for any questions I had an follow up servicing. The guys there know their stuff and I will certainly recommend them and most definitely be using them again. Ashgood have provided excellent secure storage for my collection, along with superb servicing. Would recommend the lads to anyone.here is a problem. Please try again. Really good experience, it's been a pleasure to deal with the guys at Ashgood. From purchasing my car to the aftercare with servicing and maintenance. Would definitely recommend Ashgoods to anyone looking to buy a Porsche!! Boxster 3.4S with PDK and Sports Pack. The car was in less than 12 hours before I bought it. The car is fully loaded with many excellent optional extras and I am very happy both with the car and the fabulous service Mike and John give. The car was presented well in the Porsche cover and all the paperwork in order making the entire holistic experience trouble free. Just picked the car up today so writing this as its in the garage now due to heavy rain outside! I am looking forward to many years trouble free pleasurable motoring and will be back to see them in 24 months, or less, to get another one. I highly recommended this garage. Bought a 911 from ashgood last week. Great customer service. Lots of nice little touches with the whole experience. I have always wanted a porsche but didn't really know where to start. The team at Ashgood were fantastic, so patient, knowledgeable and always available for my many questions. I would recommend them wholeheartedly to anyone, whether you are a porsche novice or an expert. Thank you. Fantastic service and very professional . Ashgood bought my boxster from monaco serviced the car which a couple of small broblems . They also done a first class polish and upholstery cleaned to a factory condition . The car feels like new again . I would highly recommend them . Look forward to buying another Porsche in the near future from Ashgood motors . Sourced me a Boxster in Lapis Blue with a full aero kit. Great customer service and attention to detail. Went the extra mile to ensure I was happy with the car. I recommend Ashgood - the guys really know they're stuff! Having looked for a while for a gen2 Boxster S, I found the perfect car at Ashgood. I was never pressured into buying and the whole experience was professional and easy going. The car had a small issue with the fuel gauge but after returning one afternoon it was fixed as I waited with no fuss at all. Would highly recommend if you are new to Porsche ownership as I was, as the guys knowledge and friendly service puts you at ease. Many thanks. Bought my first Porsche from Ashgood recently. It was a very pleasant experience from start to finish. They were all very honest, amiable and nothing was too much trouble. There is no pressure to buy and they take the time to answer any and all concerns/questions you may have. There are also some nice touches if you do buy that just finishes off the buying experience from Ashgood. Mike was always at the end of the phone if I had anything on my mind. I would really recommend Ashgood if you are considering buying a quality used Porsche and I will hopefully be back at some point for an upgrade!?! Ashgood purchased my Porsche for stock. Painless process, collected the next day and immediate payment. We bought our first porche in may this year from ashgood they are exceptional in there service and approach and very passionate about Porsches..we dealt with Mike who was very freindly and gave us no pressure sales at all .when we came back down from yorkshire to pick up the car they arranged pick up from the airport .when we got back with our porche we took it to malton porche specialists who do a thorough 74 point check ..there were a couple of problems which Malton Porsche specialists and ashgood sorted between them . We wouldn't hesitate to buy another from them in the future great experiance and a pleasure to do business with . I was worried driving up a farm track in wildest Berkshire. Could this really be a Porsche seller? Would I need weapons? Would I ever see my wife again? Where were the illuminated garage signs? And met the friendliest bunch of enthusiasts and a quality of traders I thought were extinct. I saw the car I was mildly interested in and bought it in under a minute. I've been looking for a Boxster for a few months now and have viewed quite a few. Having discovered Ashgood at the end of May we travelled just over an hour 3 times to view and drive several cars. Mike was brilliant, very open and welcoming, knowledgeable about the mark as a whole but also about each of the cars in their showroom. A real enthusiast. There was no pressure at all to buy and there was certainly an understanding that most people will want to see and drive a car and spend time looking around it before buying. He could not have been more accommodating and everything came with a smile. Unfortunately none of the cars were exactly what I was looking for and I have just bought a 987.2 from Dove House but as I've said to Mike, perhaps next time. I'm not connected to Ashgood in any way and I wouldn't hesitate to recommend them or to use them again in the future. Organise a visit you won't be disappointed. John and Mike know Porsche.... and it was important to me to buy from true Porsche specialists, who are passionate about the brand. I dealt mainly with John, who was informative, easy going and good to his word - he delivered on everything we agreed. All of Ashgood's stock appeared to be very well prepared, and my car was exceptionally well valeted before delivery. This is my first Porsche and, thanks to the guys, I have a fantastic 997.2 and a new relationship with Ashgood.... I'll definitely talk to John or Mike when I look for my next car. I had the pleasure of dealing with these guys while my partner test drove two vehicles narrowing his decision down from a 987 to a 981. The guys were not only welcoming to 'other halves' they were very encouraging for me to drive the vehicles also. They had time to talk about their business and how they source vehicles as well as a full show round of all the vehicles they have in stock. Special thanks an patience goes to Paul who took me out on two great test drives (showing how to move mirrors and seats and really get comfortable before heading out on the tarmac) and John for a great cup of tea! Now over to Mike and Dean to find my man the perfect car - although at the moment there are so many that Ashgood Porche have in stock many could be a contender. ...Look forward to visiting them again to pick it up! Excellent service from Mike and the rest of the team. Very knowledgeable and friendly. Didn't feel pressured and no sales patter. The car was fantastically presented when I went to pick it up. Honestly the best car sales people I've had to deal with in 12 years. Update - 2 weeks in, cars running great. Love it. Had small issue with sidelight bulb going. Rang Mike and they were very helpful in pointing out the issue and getting the issue resolved. Ashgood came via a recommendation as I was looking to make my first foray into Porsche ownership. I spoke to Mike initially and he couldn't have been more helpful. I gave him an outline spec and within three weeks he had sourced a car for me. It was immaculate and just what I was looking for. It was beautifully prepped when I went to pick it up and I'm sure it will give me many years of pleasure. Thank you Mike and John. I sold my car to Ashgood and was a great and easy experience! I dealt with Dean, who was very professional and friendly. After speaking with him, he arranged collection the next day at my convenience. Would definitely recommend them if your looking to buy or sell your beloved Porsche! Lovely guys and know their stuff! Mike and John have been fantastic to deal with, and have made the whole experience really enjoyable. In no way did I feel I was being sold too, more talking to knowledgable people with a real passion for these amazing cars. I bought a 2011 Carrera S from them which has been brilliant, two small issues that John came to my house to fix without any hassle and deliver a perfect car back. Great guys, honest and trustworthy and I would recommend them to anyone looking to buy a Porsche at fair value without having any worries going forward. I wish them well and would definitely buy from Ashgood again. Thanks guys. I bought my Cayman a week ago from Ashgood Porsche. Mike and the team were very friendly and helpful, picked me up from Heathrow T5. They let me do a test drive on few different models before making a decision. Can not recommend these guys enough if your on the market for a porsche or after good honest advice the Mike and John are your people. Just Bought a Cayman from the guys at Ashgood, couldn't ask for a better relaxed, no pressure chat about what I wanted and how they could accomodate my options. Thanks Mike,John and Dean. see you when I want to upgrade! I've just sold my car through Ashgood Porsche and it was pain free. I dreaded the normal chat and fear stories you get from most other dealers hellbent on supposedly 'doing you a favour'. Dean was straight talking, responsive and professional throughout. I would have no hesitation selling or indeed buying through them again. It has restored my faith in the car industry! It was a very good experience. Truly 5 star service from all those at Ashgood. Thank you! Very friendly, knowledgeable and happy to spend as much time as needed. The car was beautifully presented and fairly priced. The in-house warranty is excellent, as is the after-sales service. A couple of niggles were quickly rectified at Ashgood's expense, they even provided me with a loan car. I would recommend them wholeheartedly and I'm sure I will be back for my next Porsche. I have always wanted a Porsche since I was 5 years old so when I forward the money to get one I did a lot of shopping around and come across Ashgood Porsche dealer so went down one Saturday to look at a sliver Cayman but see a nice red Cayman sitting in the corner so took it for a test drive their and with no pressure to buy it as their is nothing worse then being pushed into something and that is something you don't have there. I brought the car and had a couple of little problems that they cleared up with no questions asked, so great service from start to finish and would recommend them to everyone. Will be going back to get it serviced and if I update it that is where I will be going. We sold our car to Ashgood, specifically dealt with Dean. He was great on the phone, arrived when he said that he would to collect the car and once he was done looking at the car and paperwork, the funds were in our account within minutes. Very happy with the service and would be encouraged to purchase a car from them next time. A great service and decent people to deal with, nice selection of quality used Porsche at sensible prices, many sourced as px's from Porsche main dealer network. My car had a small door fault which was quickly resolved by them without any inconvenience to me. Would definitely use again. I recently sold my Porsche to Dean; he was very friendly and a great help. I received a brilliant service from him and would definitely recommend for future sales. Great service from nice guys. I mainly dealt with Dean when I sold my Porsche Cayman here and he provided what I wanted, a helpful friendly service and fair price. Fabulous service from Dean @ Ashgood. Sold him my 911 and got more that Porsche main dealer. Highly recommend them. Great attention to detail and very professional throughout whole process. Very pleased. I dealt with Dean who was very helpful. Dean was very knowledgable and answered all of my questions. I would definitely recommend using Dean and Ashgood Porsche again. Sold my cayman s to these guys last week! Very professional service provided by Dean and prompt payment to follow! Would highly recommend! Sold my car to Ashgood today, dealt with Dean it was really quick and easy process! Would highly recommend! I can happily echo all the positive comments here. Great choice of cars, very knowledgeable and helpful staff and nothing too much trouble. I collected mine at 9pm on a Saturday and John spent as long as I needed to make sure I was happy. On discovering a minor glitch, it was resolved speedily and without quibble. I would whole-heartedly recommend Ashgood to potential Porsche owners. Recently purchased a Mini Cooper S from the guys and although it's not their usual stock they still offered an extremely high customer service and made it a really exciting buying experience. Also great communication from the guys, Dean in particular making the overall buying experience 5*. Will definetly be back for my next car, hopefully being a Porsche this time! Just sold my 987 Boxster to Ashgood. Extremely professional service. Would highly recommend speaking to them. I will certainly consider doing business with them in future. Achieving a boyhood dream of Porsche ownership was made an even more pleasurably experience by Paul at Ashwood Porsche. Arrangements to view the cars I was interested in were made at my convenience and nothing was too much trouble. The showroom on arrival could only be described as an aladdin's cave. There was a lovely selection of well presented cars to look at and compare at leisure and with absolutely no pressure. All questions were answered honestly and openly. There was none of the dreaded sales patter. Just honest , straightforward answers. Paul was fair in agreeing the final deal although the cars are , as he says "priced to sell" so don't turn up expecting to haggle. Can't wait to collect my first Porsche this weekend and am confident that it will meet all of my very high expectations. As will Ashgood Porsche. I can't stop smiling .....!! Collected the Porsche on Saturday and Ashgood excelled themselves. Car was superbly presented and even though they were extremely busy they gave me as much time and attention as I needed. A fantastic introduction to Porsche ownership and a really great experience throughout . Thanks to everyone to Ashgood Porsche. I can't recommend you highly enough. One Month into ownership of the Boxster from Ashgood and it's fantastic. I have had some queries which Ashgood have been happy to deal with, however minor. One final note about the Ashgood warranty. It is a warranty like I have never encountered before. In my case, they have even supplied a blown lightbulb for the vanity mirror light ! Truly exceptional particularly when you bear in mind that this is a 50,000 mile, 8 year old car. Cannot recommend Ashgood highly enough. I wouldn't buy a used Porsche from anywhere else. condition and extras fitted. We talk money and settled on price witch we both happy with. Dean then transferred £200 to my bank to hold the car over the weekend. He arrived early on the Monday morning to look over the car to make sure it was as discussed. Dean was happy with the car, transferred the balance and loaded it onto a transporter. Very happy with price and quick and efficient service by Dean and Ashgood. I sold my Porsche to Ashgood and the whole process was quick, easy and simple. First time I have sold a car so I was quite wary but Dean and John both helped with the whole process, far from a 'rogue dealer'. Recommended using these guys, highly professional and helpful. As part of my job I deal with a number of car manufacturers and dealers and I must say that the team at Ashgood were amongst the best I have had the pleasure of dealing with. They were very knowledgeable and passionate about their product and I didn't feel pressured into making a decision. When picking up the car John spent as much time as I needed to understand the car and the whole experience was enjoyable. I would definitely recommend them and thank them for their time and help. 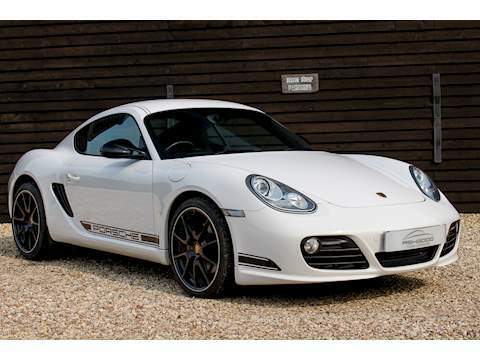 Had the pleasure of dealing with Mike when it came to selling my Cayman R, he made the process very easy and explained from the start what would happen in terms of collection and payment, all of which happened as described. As it was a quick decision on my part and I had not had time to retain a plate, Mike was very understanding and patient during that process. Could not have asked for anymore more, very strong bid for the car, excellent service throughout and very knowledgeable on the cars, I look forward to doing business in the future.